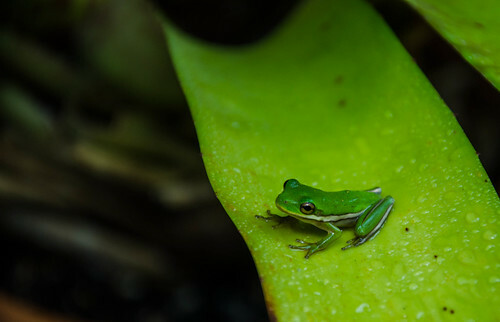 While I was in Atlanta, my friend Matt Refghi spotted this little frog in one of the plants in the backyard. I then jumped to my camera and started taking some photos. This little specimen turned out to be quite cooperative as a subject.